On May 29, 2009, the Turkish version of Zhuan Falun was officially published, and is being carried in bookstores around the country. 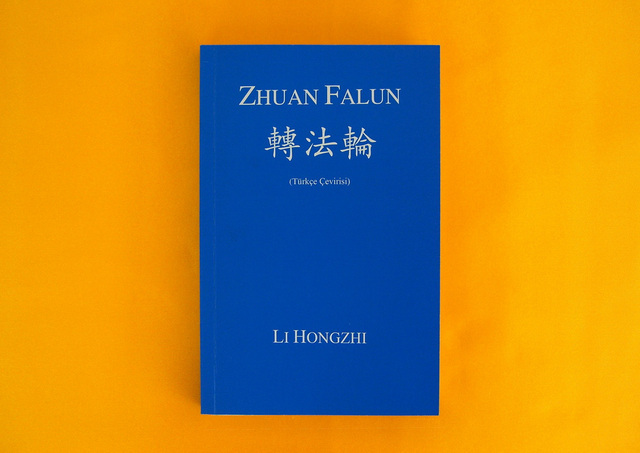 Zhuan Falun is the most important book among many works that have been published by Mr. Li Hongzhi, the founder of Falun Gong. Zhuan Falun is the main book that systematically guides Falun Gong practitioners to cultivate. As of today, Zhuan Falun has been translated into over 30 languages and published and issued in countries around the world. Falun Gong has been spread to over a hundred countries and regions, and more than100 million people have achieved physical and mental wellbeing through practising Falun Gong. Falun Gong has received over 1,500 proclamations and supportive resolutions worldwide. The publication of the Turkish version of Zhuan Falun will play a great role in fostering the rapid and wide spread of Falun Gong in Turkey, enabling more predestined people to obtain the Fa and begin practicing. The Turkish version of Zhuan Falun (ISBN 978-9944-84-053-8), can be purchased at major bookstores in Turkey, and can also be purchased by direct mail-order from Guncel Yayincilik Publishing Company's website at www.guncelyayincilik.com.tr. United States: "I Hope That a Tianti Bookstore Will Open in Every Corner of the World"